Baritone Nicholas Ward has been hailed as a performer of “effortless voice and agile presence” (Houston Press). The young performer is quickly becoming known for his versatility, swift comic timing, and his warm and expressive voice. In the fall of 2018, he joins the Lyric Opera of Chicago’s Lyric Unlimited to sing the role of Charles R. Knight in John Musto’s Rhoda and the Fossil Hunt. He will debut as Taddeo in L’Italiana in Algeri with Winter Opera St. Louis in January of 2019, and later joins the rosters of the New York City Ballet and Chicago Opera Theater. In the summer of 2019, he returns to Union Avenue Opera for their 25th Anniversary Season as Schaunard in La Bohème. In the summer of 2018, he made an exciting role debut as Ford in Verdi’s Falstaff with the Crested Butte Music Festival. Also with Crested Butte, he appeared in their Bernstein Celebration Concert with the CBMF Symphony Orchestra, as well as an all-Gershwin cabaret. 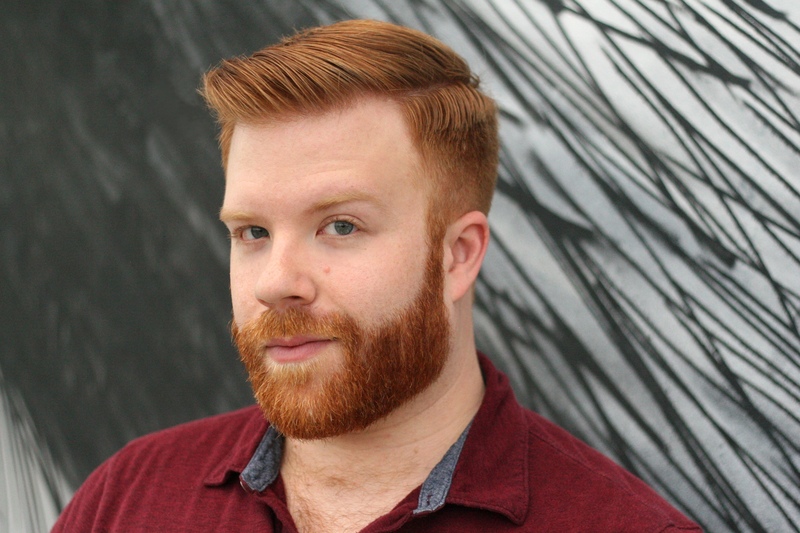 Earlier last season, he sang the role of Papageno in Die Zauberflöte at Houston’s Opera in the Heights, and Le Mari in Poulenc’s Les Mamelles de Tirésias with Opera MODO in Detroit. He also joined Opera Fayetteville for their Opera in Bloom Festival, where he performed in a series of short operas by composers such as Oliver Caplan, Tom Cipullo, Ronnie Reshef, and Tony Solitro. He was also distinguished as a District Winner of the Metropolitan Opera National Council Auditions in New Orleans. In 2017, he joined the Crested Butte Music Festival in multiple performances. He was featured in a double bill of Gianni Schicchi as Marco, and as Duke Cacatois XXII in Offenbach’s L’Ile de Tulipatan. He also appeared in the annual Cabaret and song recital. He then traveled to Montréal, Québéc, where he joined the Canadian Vocal Arts Institute. He reprised his role as Marco in Gianni Schicchi, and also sang the role of Mr. Gobineau in Menotti’s The Medium. Nicholas made his debut with Florida Grand Opera as a member of their prestigious Young Artist Program, where he was in residence for the 2015-16 and 2016-17 seasons. He appeared in roles such as Moralès in Carmen, Cristiano in Un Ballo in Maschera, and Fiorello in Il Barbiere di Siviglia. In addition, he covered the roles of Le Dancaïro in Carmen, Figaro in Barbiere, and Tadeusz in Weinberg’s resurrected masterpiece The Passenger. He also participated in FGO’s recital series, SongFest Miami, in which he sang a variety of repertoire ranging from Mussorgsky’s Songs and Dances of Death to Gabriel Kahane’s Craigslistlieder. His 2016 summer season included performances with the Thompson Street Opera Company in Louisville, KY and Union Avenue Opera in Saint Louis, MO. At TSOC, He premiered the role of professional wrestler Bob Noxious in The Final Battle for Love by Philip Thompson, and sang the roles of Charlie and President Nixon in Chappell Kingsland’s Intoxication: America’s Love Affair With Oil. He debuted with UAO as Pish-Tush in an updated production of Gilbert & Sullivan’s The Mikado. He is a three-time alumnus of Central City Opera’s Bonfils-Stanton Young Artist Program. Highlights of his performances in Central City include The Elder Son in Benjamin Britten’s The Prodigal Son, Marquis D’Obigny in La Traviata, the trio baritone in Bernstein’s Trouble in Tahiti, and a recital in the Teller House recital series. He has also participated in the young artist programs of Toledo Opera, Opera Saratoga, and the Seagle Music Colony. Musical theater and operetta are also a significant part of his career. He has been seen in entertaining roles such as The Major General in The Pirates of Penzance, Ko-Ko in The Mikado, The Usher in Trial By Jury, The Backwoodsman in Show Boat, Mr. Jones in Street Scene, Max Detweiler (cover) in The Sound of Music and Horace Vandergelder in Hello, Dolly! Nicholas is a graduate of the University of Michigan and the University of Cincinnati College-Conservatory of Music. He has been distinguished as an award winner from the Opera Guild of Dayton, FAVA’s Grand Concours de Chant, Central City Opera (Outstanding Apprentice and Garwood Memorial Awards), and the Ohio, Wisconsin, and New Orleans Districts of the Metropolitan Opera National Council Auditions. He grew up in Pontiac, Michigan, where he fell in love with music at a young age.